With several days of rain looming in the forecast, on Saturday I bit the bullet to clean and scrape off some of the damaged rubber roof coating. 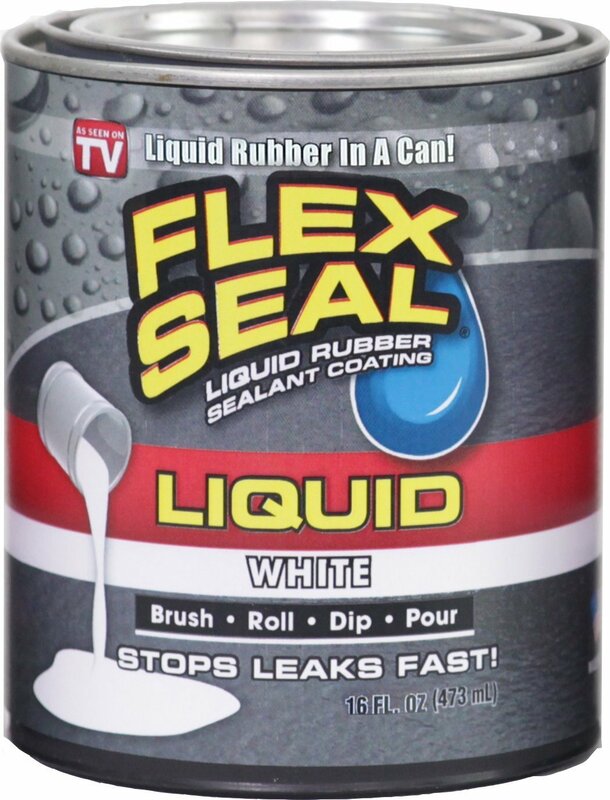 Then I applied a fresh coat of FlexSeal liquid rubber. This product went on much easier than I thought, using a metal paint pan and long-handled mini roller to maximize my reach. I had bought four 16-ounce cans and didn’t expect it to go very far. But it was more than enough to apply a thin first layer, going around my solar panels of course. I can make a second pass later if needed. I still have to roll it under my solar panel cables anyway. I just didn’t want to get any goop on them. 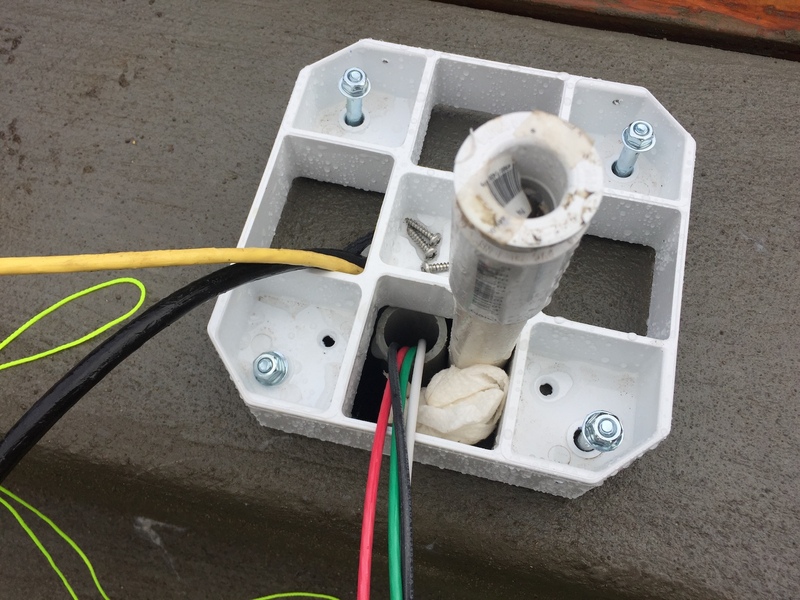 Next, I had to prep the power pedestal base by cutting off the PVC collar and conduits with my reciprocating saw, so they were flush with the top of the concrete step. Then I drilled the four bolt holes, breaking only one bit in the process. I will secure the base with 5/16″x2-1/2″ anchor sleeves. Olivia and I glamped out and watched Sunday Night Football and part of the Emmys in the RETROvan. It did rain and it did not leak! I’ll probably have to do this as regular maintenance every year. But at least now I know it’s not the nightmare I feared it to be. 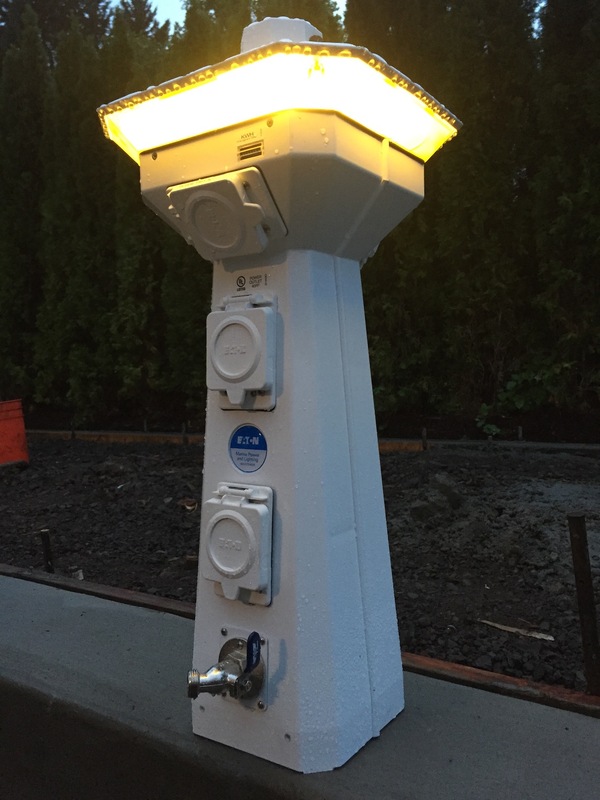 On Monday morning, Dave Walter from Frahler Electric came to run power and data from the subpanel in our basement to the power pedestal on the RETROpad. That includes a beefy 30A circuit, Ethernet and a coaxial cable for TV. 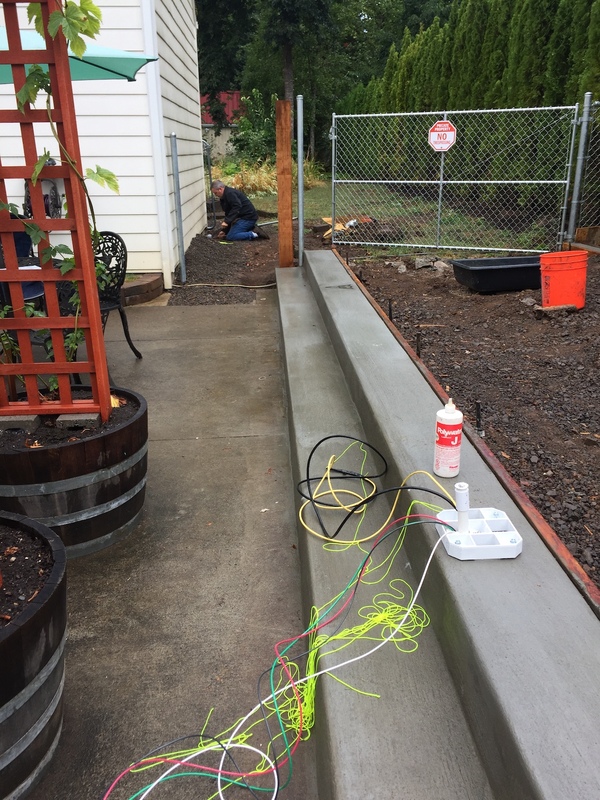 Gary Jackson and I had trenched all the conduits in place under the concrete steps, so Dave’s job was that much easier. I had to help push and pull the cables though all that swoopy PVC pipe. Dave’s trick was to lubricate them with dish soap. Unfortunately Dave is not a “low voltage” electrician, so he was unable to terminate the Ethernet cable successfully. Plus, a thunderstorm moved in, cutting our work short. So I’ll probably buy the tools to re-terminate that data line myself unless Frahler wants to send someone back for free. 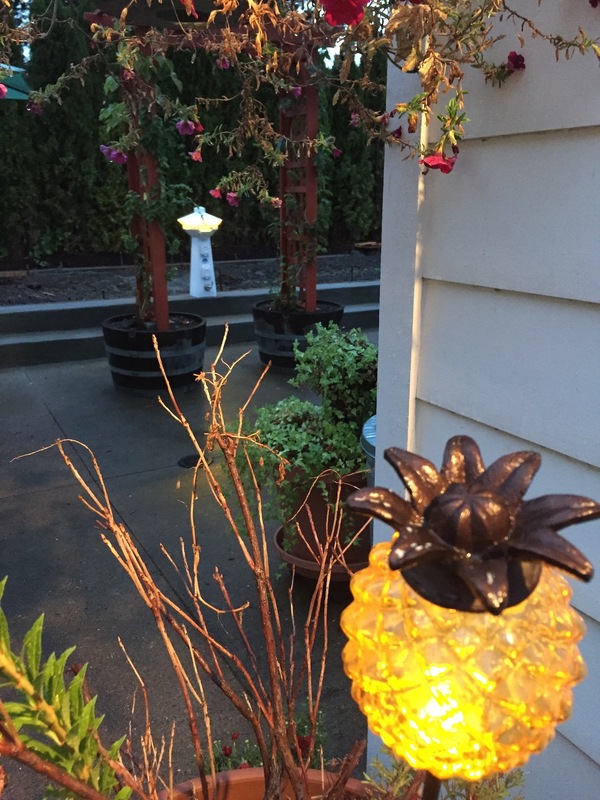 But the pedestal does have power now, and it does light up nicely from dusk to dawn. It’s like the little sentry robot we never had. Now if only it could bring us a beer!